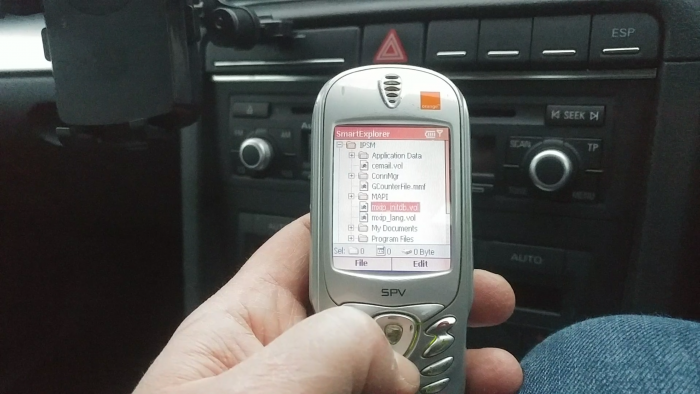 Yesterday I found a haul of classic smartphones including the SPV E100, E200 and M2000. Not only that, but I dug out the SPV C500 and C600 too. That C600 was, at the time, quite something – it came with an OMAP850 CPU running at 195Mhz and had a whacking 64MB storage plus a 240×320 pixel screen. Trouble is, I can’t seem to get a lot of the other phones powered up. C600 included. I plug in the mini USB plug, wait a bit, and nothing happens. The good ‘ole SPV is working a treat though, and whilst trying to figure out if it was just the chargers causing the problems, I stumbled across an old Orange full-sized SIM card. AHA! 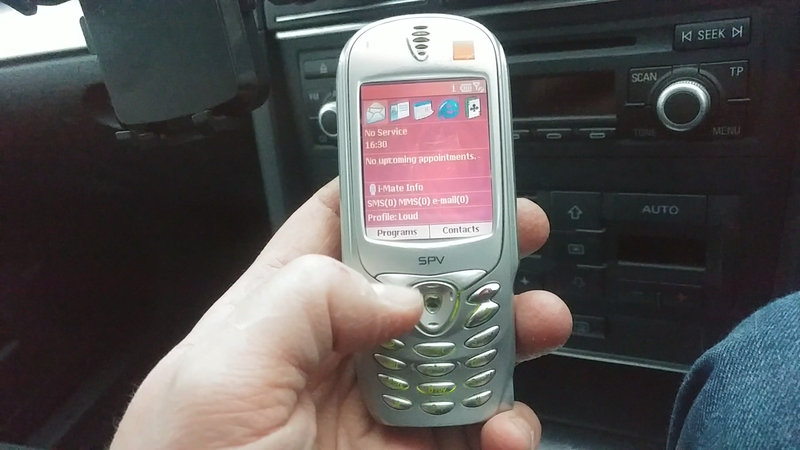 Just what I needed to get the SPV fired up – it wouldn’t get past “no SIM card” screen yesterday.